or similar boasts? They may say there is nothing more important than doing the right thing, and that their code of conduct applies to everyone in the company. But, where is this spelled out by the company in a way that truly binds everyone, including the board of directors? In a corporation, direction starts from the top. Just as a subordinate employee does not issue binding directions to his or her boss, compliance managers, lawyers, or even senior executives do not tell the board what to do; the board is at the top, serving at the shareowners’ discretion. 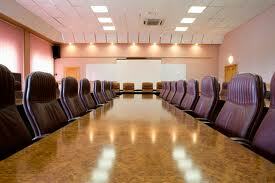 If a policy is to bind everyone, including the board, then the place to start is at the top – the board. One way for the board to make clear its direction in this area is through a formal resolution, on the record, making firm the company’s commitment to do the right thing, and to have an effective compliance program, with a fully empowered, connected, and sufficiently independent chief ethics and compliance officer (CECO). The resolution can also state that this commitment binds all those acting for the company, including the members of the board. Consider, too, the 2010 amendments to the Sentencing Guidelines’ compliance program standards. Companies can now get credit for their programs, even if a senior person is involved in a violation, but only if the company meets four conditions. One of these relates to the compliance officer being authorized to report directly to the board of directors about the C&E program. But, how can a company document that it has met this standard? This should be one of the elements of the resolution, charging the CECO with responsibility for communicating personally to the board and the Audit Committee (A) promptly on any matter involving criminal conduct or potential criminal conduct, and (B) no less than annually on the implementation and effectiveness of the C&E program. It would be even better to expand this to require escalation of other important matters, including allegations involving a senior officer and refusals to cooperate in any investigation. What clearer way for the board to demonstrate its commitment? The resolution can spell out the standard for the program and the CECO, including the extremely important requirement that the CECO can only be removed by the board, not by management. If there is any pushback along the lines of “This is not important enough for the board; we can handle this without the board’s involvement,” then you have a strong clue that the high-sounding language about the importance of the C&E program is probably more talk than substance. If a company is unwilling to even state its policy firmly, starting at the top, what are the chances that it will actually live by that program?